Excellent value design packages for new (and established) businesses. If you are looking for an online ‘branding boost’ we have the solution for your budget. Our ‘a la carte’ packages offer significant savings when compared to buying the services separately, and are a really cost-effective way to get a professional, dynamic web presence for your business. They are ideal for new startups wanting to quickly secure their position in the online marketplace. For new startups and smaller businesses wanting to get establish themselves on the internet, this offer bundles a logo, basic website and email marketing template at a fantastic price. Hosting for the first year is included, as is server security and backup options to make sure your site runs smoothly and problem-free. Give your business a professional look from the outset with our Online Starter, it’s a perfect base to build from. Booking this option requires a deposit of £200 with the remainder payable on completion. Take your business to the next level – our Online Builder package includes everything in the Starter bundle and adds an intro animation plus more advanced website options. Reinforce your brand with a custom logo reveal animation or simple intro sequence promoting your services: video attracts attention, and our Builder package offers you the chance to make a real impression on your visitors as soon as they get to your site. The Online Builder is another great option for startups and new websites looking to get an effective presence on the internet at a real bargain price. Booking this option requires a deposit of £350 with the remainder payable on completion. 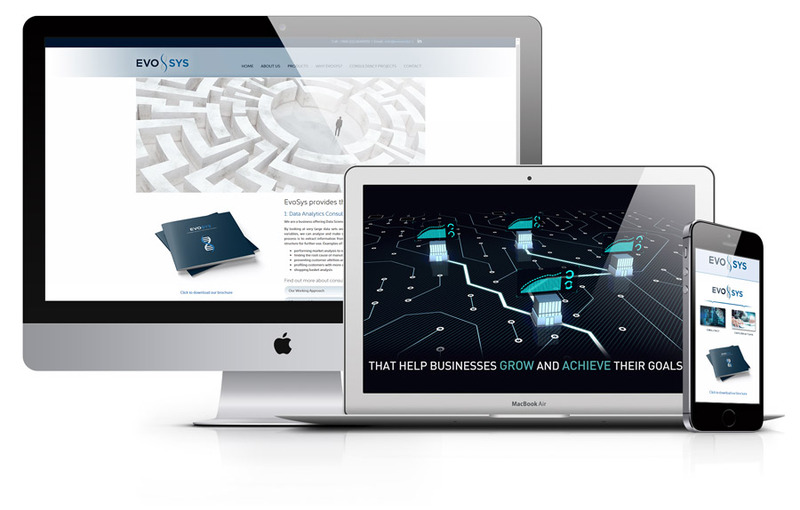 Our Online Advanced Package offers a complete solution for businesses wanting a website featuring dynamic, engaging content and slick, custom animation designed to totally impress your audience. Along with vast creative options offered as part of the video component, your website can show as many types of pages and content as you require, with animated elements and state of the art transitions making your website a dynamic and compelling window for your services. Including custom designed graphics reflecting your brand, every element of your website will be tailored to showing your business in the best possible light. Order your Online Advanced package now to get the full Osis website experience! Booking this option requires a deposit of £600 with the remainder payable on completion. Dynamic website content e.g. diaries, bulletins, recommended articles etc. Including everything offered in our other packages, our Enterprise Package adds full E-Commerce functionality to your website. Everything you need to start selling your products online, showcased in a stunning website including professional animation and custom web graphics. With up to 50 of your first products included free, listing and updating your website is easily managed through a standard WordPress interface. We manage backups and perform daily security checks on the server ensuring your site is working hard for you day in day out without interruption. Booking this option requires a deposit of £850 with the remainder payable on completion. * Animations requiring actors, voice overs or on-site/live action filming are not included in the package price and will be costed separately according to requirements.